With strong energies in Aquarius arriving this time each year, genius energies now fill the air. Aquarius helps us feel electrified and brilliant, and for you, Leo, that will bring new opportunities for personal projects, health, and your most important relationships. During this time of year, you also feel strong impulses to create greater peace by heeding nature’s call to rest in the evening and gaze at the sky as your ruler, the Sun, sets each day in the west. Your nobility inspires you to bring harmony and love to every relationship so you can create peace in every corner of your life. Tune in to this month’s potential, because you may seize lightning in a bottle. Read on to see how. Full Moons carry great power: the Sun and Moon sit as far as possible from each other and face off across the zodiac, and this alignment often feels like we’re pulled in two conflicting directions. At every full Moon, our job is to balance the two signs involved, and when the full Moon includes an eclipse our work feels even more urgent. As a Leo, you may feel full Moons more intensely than others because they involve the Sun, your sign’s ruler. For you, Leo, this energetic polarity may spark changes in your first house of yourself and your personality and health as well as your seventh house of marriage and business partnerships. With a lunar eclipse involved, you may have seen something end in one of these areas, and with Leo activated it may have felt extra intense and emotional and deeply personal. As of February 10, Venus heads into Pisces, but on February 13 at 9:13 a.m. (3:13 p.m. Greenwich time), the sensitive Moon will join the other planets in Aquarius. So by mid-month, you’ll have three planets and the Moon’s node—point of past accomplishments—in this sign and pressing you to take action on anything related to your marriage or your commitments to partners in your personal or professional life. With multiple planets in your opposite sign of Aquarius, including your ruler, the Sun, you may need extra rest: the seventh house also relates to competitors and anyone who opposes you openly, and challenging energies from these people or from your partner can tax your health as well as your patience. That makes this a good time to create balance by looking at beautiful art, spending time in nature, and meditating to feel more peaceful. For you, Leo, the Sun, Mercury, south node, Venus, and new Moon in Aquarius are activating inner genius in your seventh house of marriage, business partnerships, and agreements. Follow every hunch in these areas and open your heart to connect more lovingly with your partner at home or to show appreciation to your work partner if you have one. A casual conversation could bring you closer or yield a novel solution to a challenge you’ve been working on together. If you’re not married, having your ruler, the Sun, in your marriage house could highlight how serious you’re getting about someone you’re dating, and Venus there will ensure affection and shared pleasures. Also, your seventh house rules agreements, so you may enter into a contract with a new business partner or sign with an advisor such as an agent or publicist who has a good chance of bringing your talents to a much wider audience. This area also covers people who may oppose you in some way as well as litigation, so if you’re in negotiations to resolve a dispute, you may see progress this month. February brings you many opportunities to enjoy your married life or take a business partnership to a new level. If you work in entertainment, this month also will bring opportunities for you to shine and feel loved by your fans. In business, you have good prospects for talking to customers or meeting promising prospects. On February 6, Venus in your seventh house of partnerships and agreements will connect with Uranus in your international and education house. If you’re married, you and your partner may try a new restaurant serving unusual ethnic cuisine, plan an exciting vacation, or work together to build good rapport with visiting clients. If you’re not married, someone you meet while out in public may say something that helps you with an immigration question or application to a university. A few days later, on February 10, Venus leaves your partnership house to enter your eighth house of passion, regeneration, and life’s mysteries. If you’ve faced a health challenge, you can dig deep to find answers and may meet someone who can help you overcome it. Also, your spiritual life may deepen now: you may read books about reincarnation or life after death, meditate to connect with your creative potential, or join a spiritual organization to learn mindfulness or other techniques. On the 13th, your ruler, the Sun, will talk to Uranus in your ninth house of long distance travel, higher education, and all things that expand you and your world. You and your partner may enroll in a language class together or discuss moving overseas; if you’re not in a committed relationship, you may meet someone intriguing from another culture and become serious about the relationship. Mardi Gras arrives on this day, so go to a party or event and get into the spirit of this holiday. The next day, celebrate Valentine’s Day by putting your generous heart into a date with your special someone. If you aren’t in a relationship, call a classmate from college days to chat or meet unattached friends for drinks or invite them to dinner. On February 15—and for the week and half afterward—you can tap success by starting anything new related to your marriage, partnerships, alliances, and agreements once the new Moon arrives in brilliant Aquarius at 3:06 p.m. U.S. central time (9:06 p.m. Greenwich time). 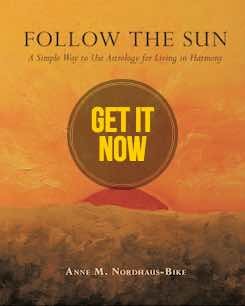 A solar eclipse comes just minutes before that—and the day brings harmonious angles between Mercury in your marriage and partnership house with Uranus in your ninth house of travel, foreign places, higher education, publishing, and broadcasting as well as between Venus in your shared financial house and Saturn in your house of work and health. You may have a breakthrough in a partner’s immigration status or get an opportunity to speak or teach at a university through a business partner. You also may receive a perk or small bonus recognizing your hard work at the office. On the 17th, this theme continues with the Sun and Mercury coming together in your partnership area for a final burst of thought provoking inspiration as well as possible new agreements, contracts, or alliances related to marriage, a business relationship, or your dealings with the public. On February 18, energies shift to Pisces, as the Sun, your ruler, leaves your opposite sign of Aquarius for the sign of the Fish. Feel the change from air to water, from electricity to "see in the dark" intuition. Pisces always activates your introspective eighth house, where you focus on deep inner reflection, personal renewal, and spiritual investigations. This is a good time to go inward through meditation, and it’s an excellent opportunity to get a diagnosis related to health concerns. You’ll have additional support in these areas February 21 when Venus waltzes with Neptune in Pisces to bring deep love to your spiritual quest, followed by Mercury’s meet up with Neptune on February 23 to spark mystical thoughts or visions. Ground your focus on yourself in something to serve others, as the Sun and Saturn will bless practical efforts. February 13 and 14: The Sun in a helpful angle with Uranus can inspire partnerships through international connections and bring contact with brilliant minds at a university event. Enjoy Mardi Gras, and plans something different for Valentine’s Day. February 15: New Moon in Aquarius at 3:06 p.m. U.S. central time (9:06 p.m. Greenwich time)—with solar eclipse a few minutes before that—plus planetary harmony involving Mercury and Uranus as well as Venus and Saturn. The next week and a half favors new beginnings in everything related to your seventh house of alliances, marriage, partnership, and agreements as well as dealings with your public. Happy February, Leo! I wish you a wonderful month!